Beatrix' dam sire, Lemon, is a well known Thoroughbred refining sire. 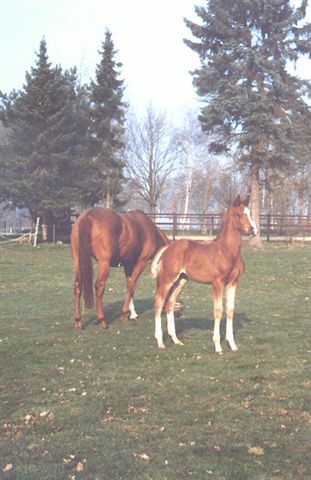 In 1995, Beatrix was fifth out of 42 entries in the Fillies of 1995 class at Dressage at Devon. She is main stud book and is being leased from Performance Breeders. SOLD! Congratulations to Michelle Coursin of NC and congratulations to Jeannie Poindexter for the sale! We can't wait to see photos of the 2009 foal by Shakespeare. Hershey received a premium award at the GOV inspection on July 14, 2008. He is a super mover. He is uphill in his front end movement and conformation and has a beautiful face. SOLD! Congratulations to Beth LaFrenz of PA! Dhelmonico is very tall and leggy with those large ears from his HN ancestors. What a mover he is! 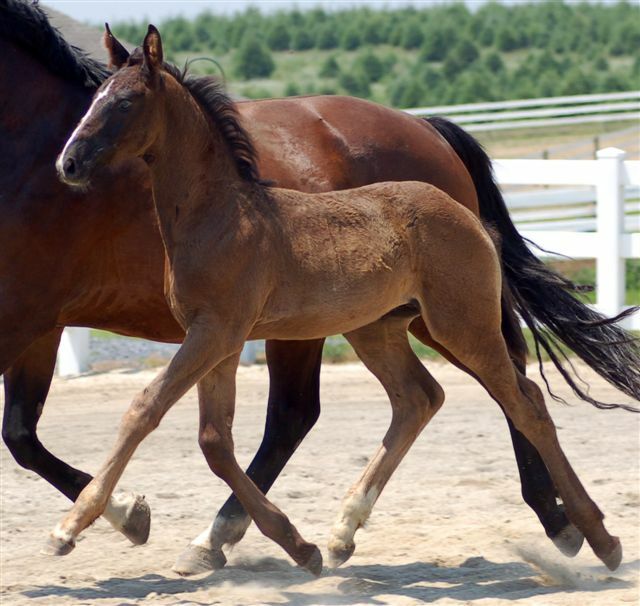 He is probably the best foal of the group as far as hind leg engagement goes, which makes him uphill with suspension in his steps. Plus, he is as sweet as they come. He is very correct in his conformation. SOLD! Congratulations to Dana Sharp, DVM of NJ! Beth and Jane were ringside at the GOV inspection and they were sure happy when they saw this filly move- she is really good, and a beauty, to boot! SOLD! Congratulations to Beth Hart and Jane Ward! He sold for a very good price of 10,500 Euros. 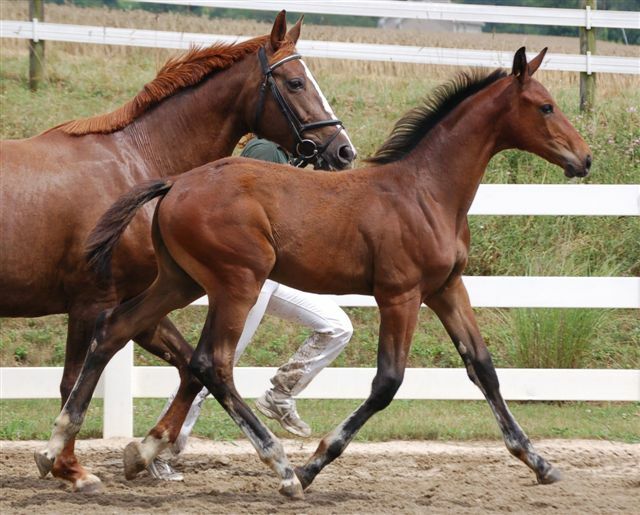 There were only 45 of the 265 foals that acheived a price over 10,000 Euros. He went to a very good home, too.